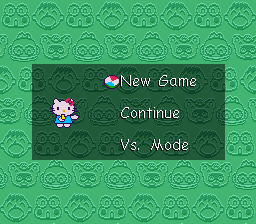 Romhacking.net - Translations - Sanrio World Smash Ball! 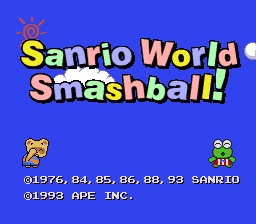 Sanrio World Smash Ball! 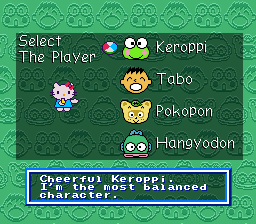 is a competitive multiplayer sport game similar to table tennis that uses four playable characters from Sanrio’s wide catalog of cute mascots. The most famous Sanrio character, Hello Kitty, acts as referee for each contest. 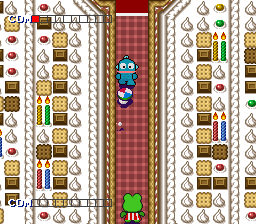 Each arena is subtly different, with multiple configurations of breakable blocks, impassable squares, walls and other obstacles that the two players can use to their advantage to win the match. The game is completely finished! And look at that font! LordTech seriously rocks, you guys.